mSkin’s Skin Care clinic is based in Hove. Dr Liz McCulloch offers her skin care and hormone therapy services in a private, professional, friendly and calm environment. The modern treatment room is equipped with all the necessary home comforts, including a therapy couch, stereo and pillows. Dr Liz McCulloch, founder and director of mSkin, is an experienced GP with advanced skills in Aesthetic Medicine. She understands how to use a wide range of non-surgical treatments and procedures to enhance your appearance. Having practiced as a local GP and as a cosmetic practitioner within the Brighton and Hove area, she is highly skilled at using minimally invasive techniques to deliver outstanding natural looking results. She personally carries out all the procedures at the Brighton and Hove clinic, including wrinkle-relaxing injections, dermal fillers and skin care consultations. Dr Liz McCulloch believes in delivering a five-star service; she cares about your wellbeing and will always listen closely to your aspirations and concerns. She graduated from Vienna University in June 2001 and became a full member of the UK Royal College of General Practice in 2008. 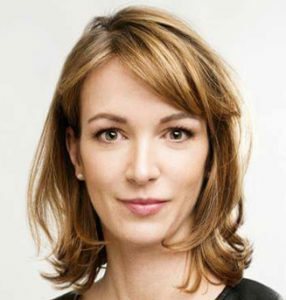 Dr Liz McCulloch is a full member of the British College for Aesthetic Medicine and holds a full practicing license with the British General Medical Council. She is fully medico-legally insured for general practice and cosmetic treatments such as Botox (C) injections and dermal fillers.